The origins of Japanese imperialism can be found in the XIX century when their firm isolationism was no longer defensible. In 1852, the gates of Nippon were opened to westernization, particularly their modern warfare, tactics, some customs, and traditions. The power of the Shogunate ended in favor of the Emperor. The Meiji Era was soon going to blossom, and the role of an ordinary man arose while the power of samurais weakened, leading to building a massive and modern army. There is an old Latin proverb Si vis pacem, para bellum, meaning if you want peace then you have to prepare for war. These words didn’t find renown in neighboring areas and Japan, eager to prove itself, took advantage of others apathy. 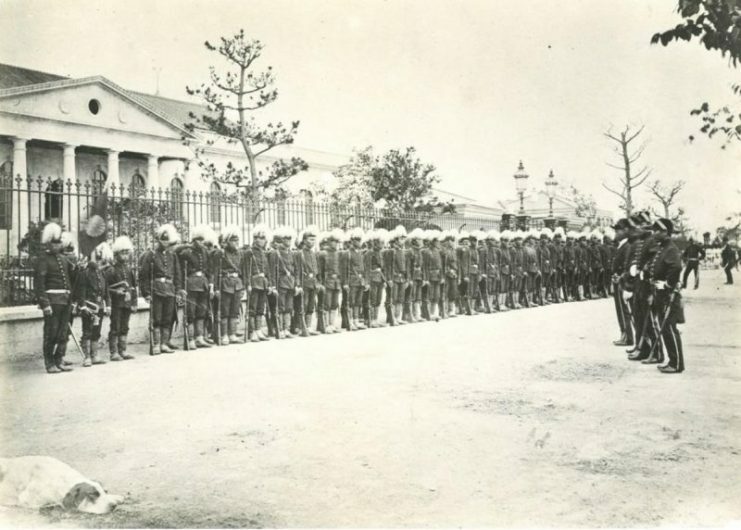 In 1894, the First Sino-Japanese War occurred, lasting one year, and ending in a decisive Japan victory. That didn’t quench their thirst, on the contrary – they still didn’t find a formidable foe, and no Asian country could provide such challenge. While the prestige of Quing Empire faded, it didn’t increase the position of Japan. The closest “Western” country was the Empire of Russia, an enemy you couldn’t mess with around. Both Japan and Russia had aggressive, expansive politics, both couldn’t find a common ground, and the result could be foreseen. In 1904, “Land of the Rising Sun” without declaring war, attacked Russian Port Arthur. Nicolas II underestimated his new enemy and was sure the conflict with Japan wouldn’t last long. He was right about that, lasting one year, the war humiliated the Russian navy, and presented a new major power on the world stage – the Empire of Japan. Exuberant Nippon soon annexed Korea, and there still was no one to stop it. 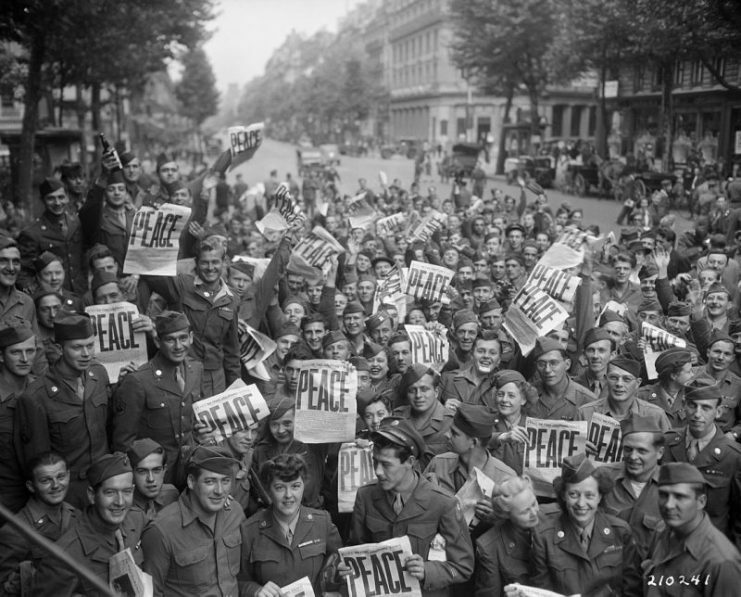 In Europe, World War II lasted from September 1939 to May 1945. Six of deadliest years in European history. For the Empire of Japan, the war began far earlier. The Second Sino-Japanese War started in July 1937, four years before Pearl Harbor, unleashing havoc on whole eastern parts of China, and resulting in over 20,000,000 casualties. Japanese ambitions didn’t end either in Korea, nor China. They planned to expand over all East Asia and Oceania. To achieve such a goal, they had to get rid of their competitors and find new powerful allies. On September 1940, Rome-Berlin-Tokyo signed the Tripartite Pact. 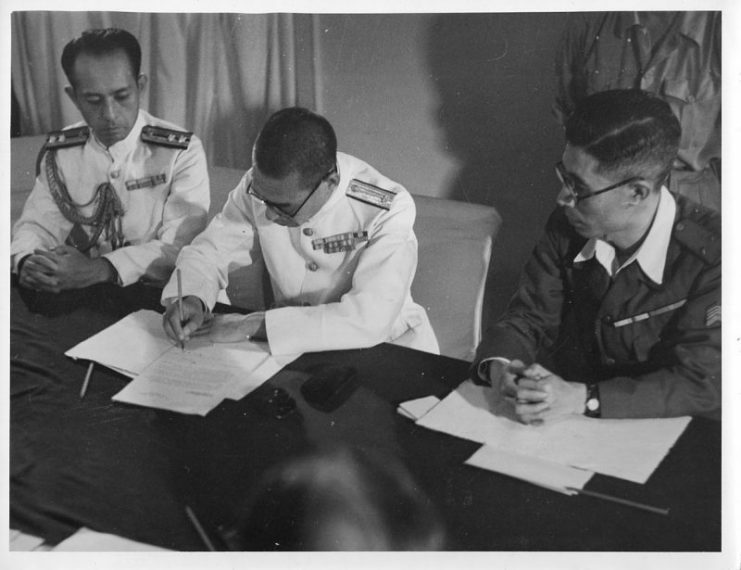 The signing of the Tripartite Pact. 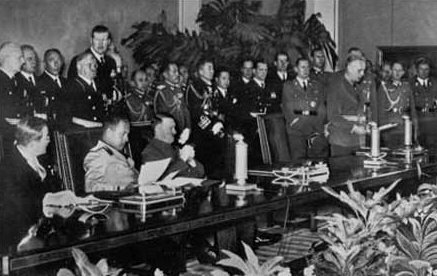 On the lefthand side of the picture, seated from left to right, are: Saburō Kurusu (representing Japan), Galeazzo Ciano (Italy) and Adolf Hitler (Germany). 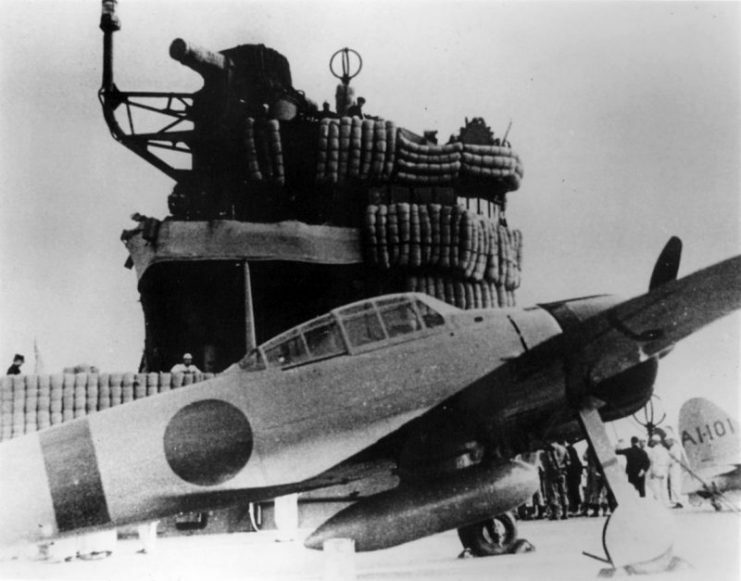 An Imperial Japanese Navy Mitsubishi A6M2 “Zero” fighter on the aircraft carrier Akagi during the Pearl Harbor attack mission. Public opinion in America prior to Pearl Harbor was against joining any oversea war. In light of tragic events in Hawaii, that drastically changed in a blink of an eye and Congress declared war against Japan. 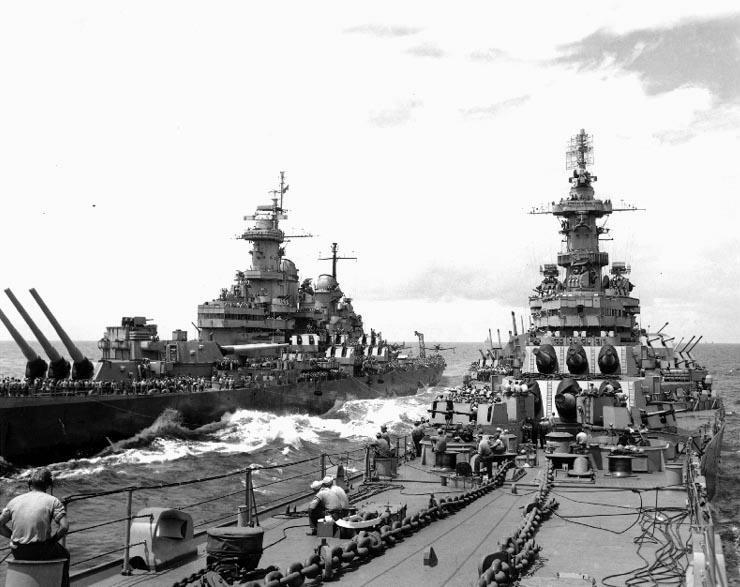 In 1942, the “awoken giant filled with resolve” sent their fleet west in the Pacific, under the command of Admiral Chester Nimitz combined with an Army led by General Douglas McArthur. The days of Rengō Kantai of Isoroku Yamamoto were numbered. Firstly, the Doolittle Raid proved that Japan was vulnerable to air attacks of the enemy. 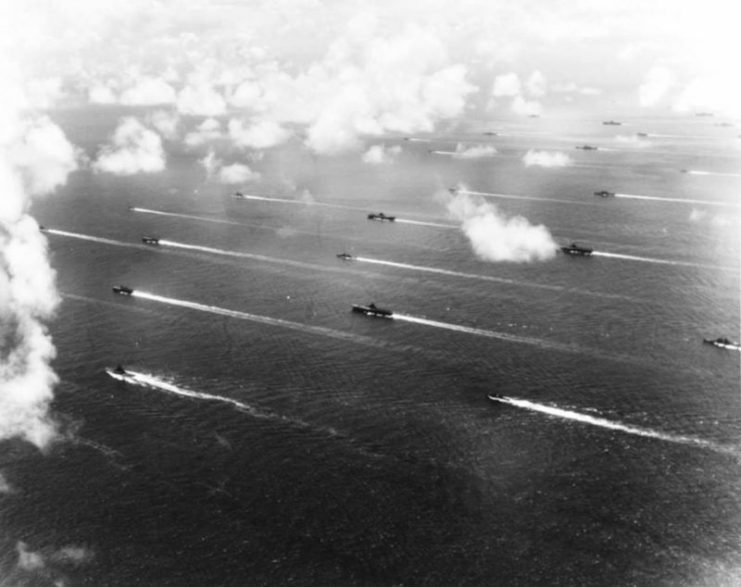 Secondly, after the Battle of Midway, the tide of the war shifted. Through the next couple years, the United States and it’s allies ground down the Japanese military machine. Despite a determined defense by the Japanese in their final year, the Allies had reached striking distance of mainland Japan and set about to systematically destroying the remnants of the once mighty Japanese military machine. However, these gains came a huge cost to the Allies. 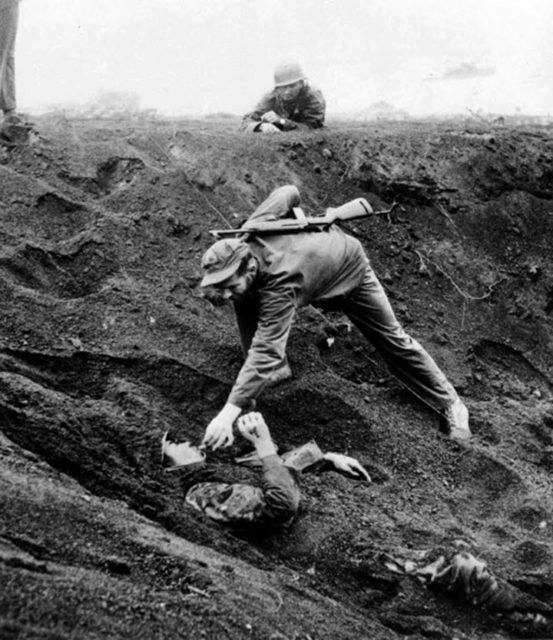 This Japanese soldier played dead for almost two days half buried in a shell hole holding a live grenade. Promising no resistance, he was given a cigarette before being removed from the hole, Iwo Jima, 16 March 1945. 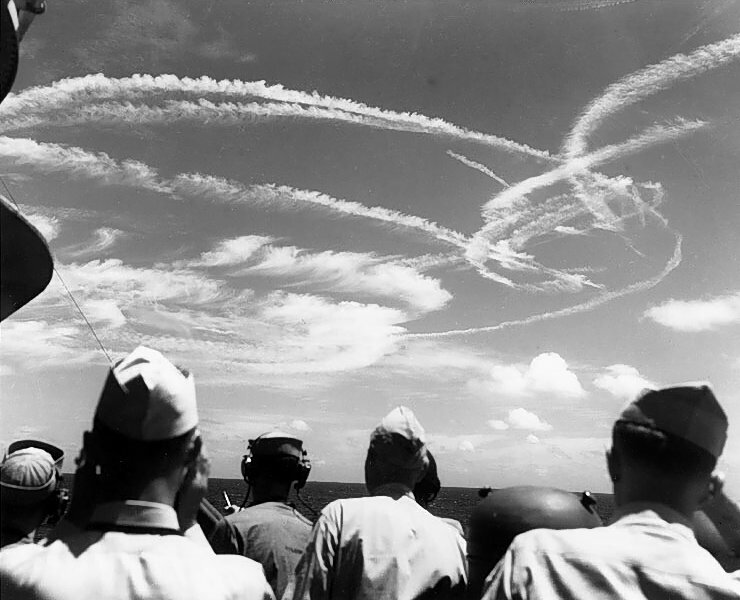 The resolve and fighting spirit of the Japanese in these operations gave U.S. commanders pause in thinking “what will happen on the Japan mainland?“. Over 5 million soldiers and more than 35 million civilians on land with over 400,000 artillery of various caliber, less than 200,000 machine guns, over 2,5 million rifles and 200,000 pistols, 5,000 tanks and thousands of other vehicles. 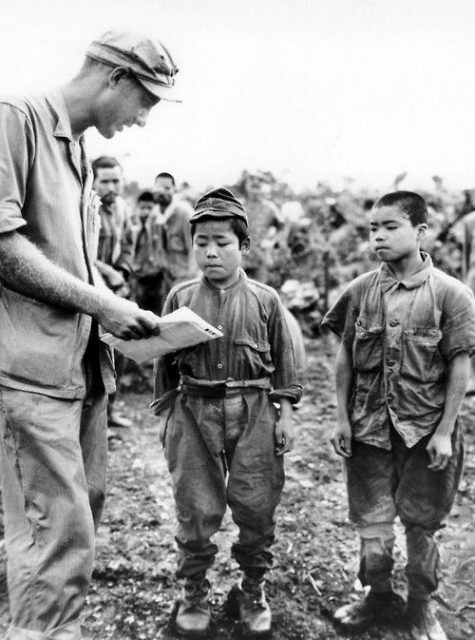 Tekketsu Kinnōtai – Japanese child soldiers formation, Okinawa, 1945. The only Axis country left was Japan. 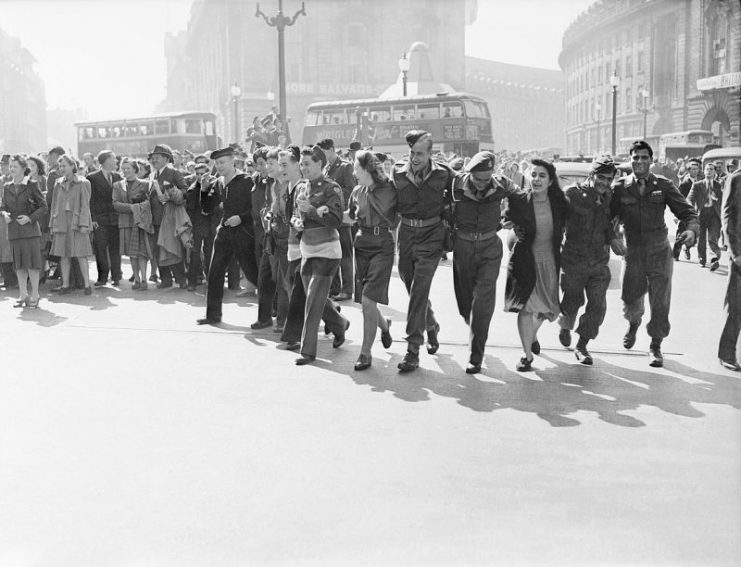 Nazi Germany was defeated and peace in Europe was established. The end was inevitable, the only matter of discussion was the cost of it. Without delay, Operation Downfall was planned to be executed on autumn 1945 and the price of conquering Nippon would be shattering. 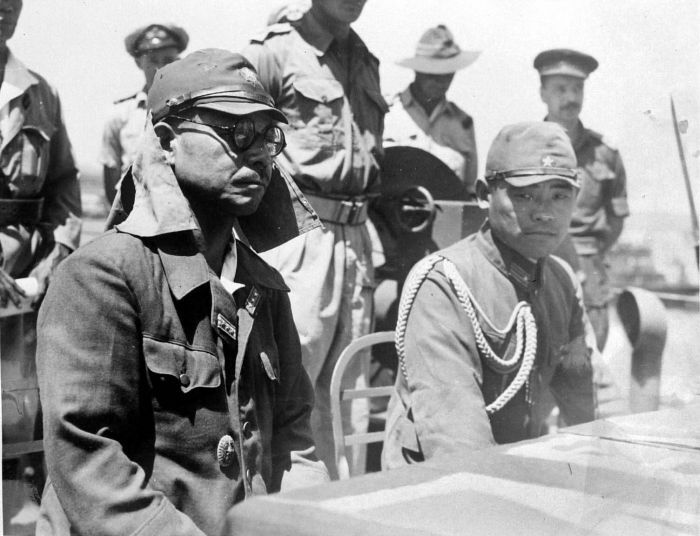 Japanese Emperor Hirohito prepared Operation Ketsugō, an all-out plan of the ultimate defense. However, both operations were avoided with the successful completions of the Manhattan Project. The U.S. now had atomic bombs. 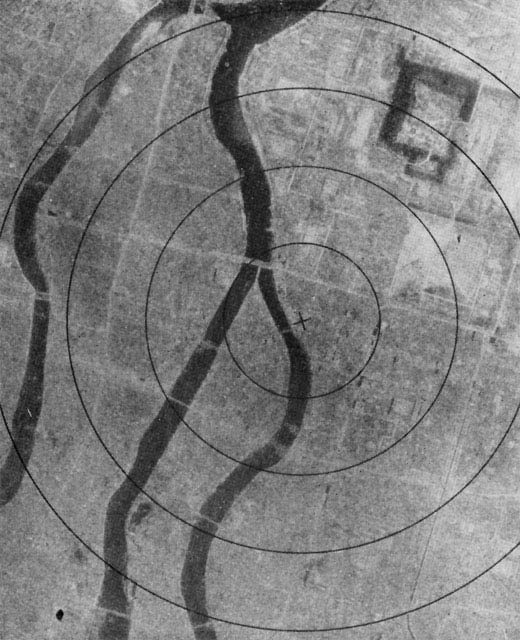 The first atomic bomb “Little Boy” was dropped on Hiroshima on August 6, followed three days later by the “Fat Man” on Nagasaki. 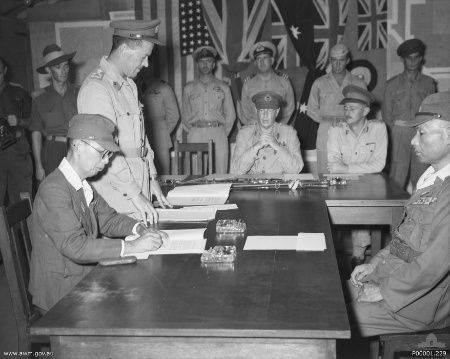 On 14 August 1945, less than a week after the bombing of Nagasaki, Emperor Hirohito decided to do something “unthinkable” and opposed by many of his military advisers. 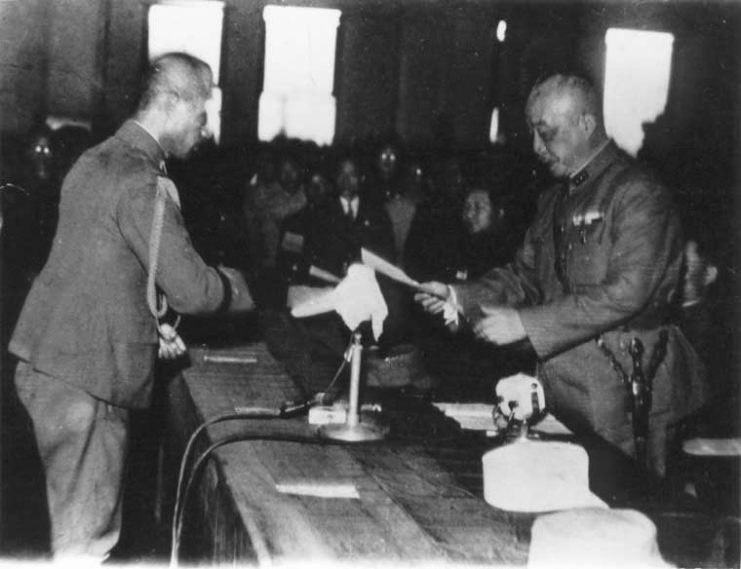 He announced the surrender of Japan which was broadcast the next day at noon via radio. The nation was supposed to reconcile with the ultimate surrender, although he didn’t use these exact words. 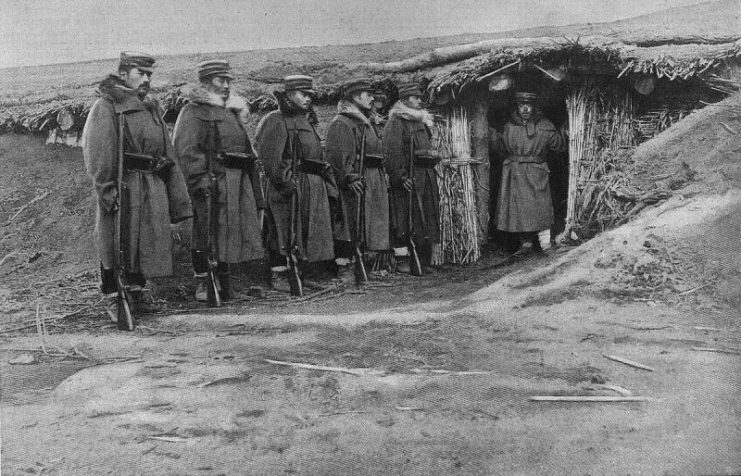 Many Japanese officers chose a suicide over the “shame” of defeat. 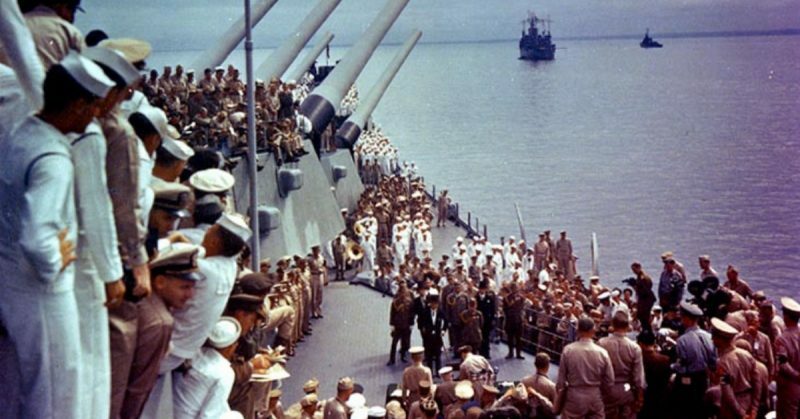 The signing of the declaration of surrender was planned for September 2, 1945, at 9:00 AM in Tokyo Bay, aboard the USS Missouri (BB-63). 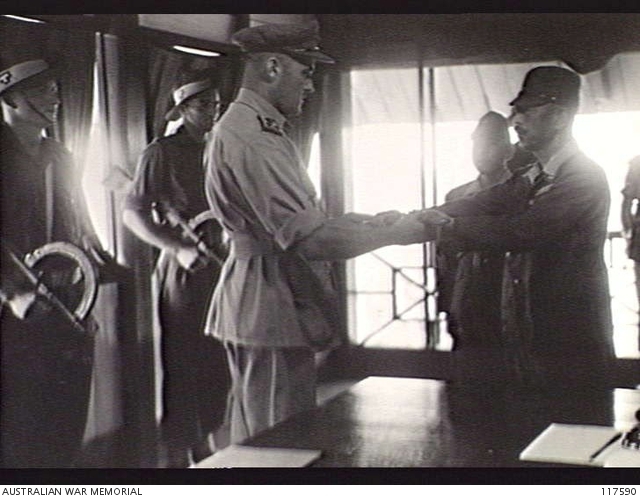 The Supreme Commander for the Allied Powers, Douglas McArthur, along with other prominent US officials and staff arrived at Tokyo on August 29. The design of the declaration was different than that of Germany and was more about a future partnership under the control of the victor. Also, the Emperor had a status of living god among the conquered nation and Gaijin Shogun (nickname given to McArthur by Japanese) decided to protect Hirohito and rule through him, which is considered as a politically wise move. 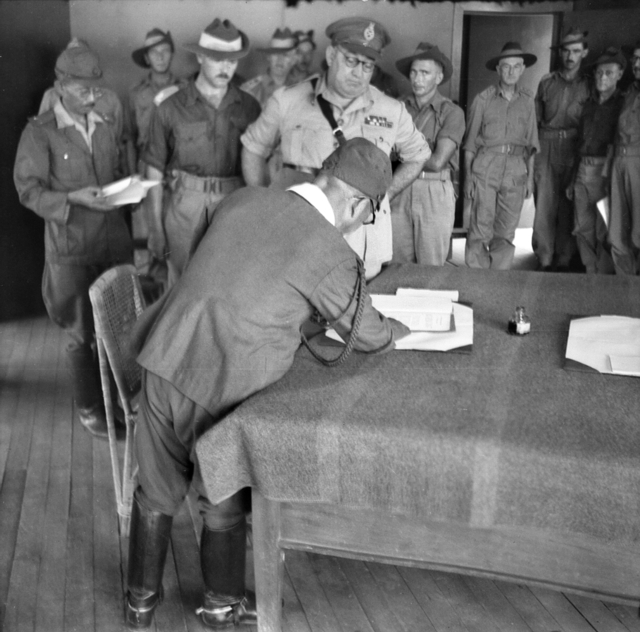 Hirohito was free from any accusations of war crimes and responsibility for that was assigned to Hideki Tōjō and his militarist extremists. Approximately 5,700 Japanese and their allies were tried for war crimes in late 1945 (4,300 were convicted and 1,000 sentenced to death). Some trials were conducted hastily and were criticized, for example, the trial of Yamashita for crimes on Manila, for which he was not responsible. Similar to Operation Paperclip, McArthur gave immunity to many Japanese scientists, including Shirō Ishii, in exchange for their knowledge. 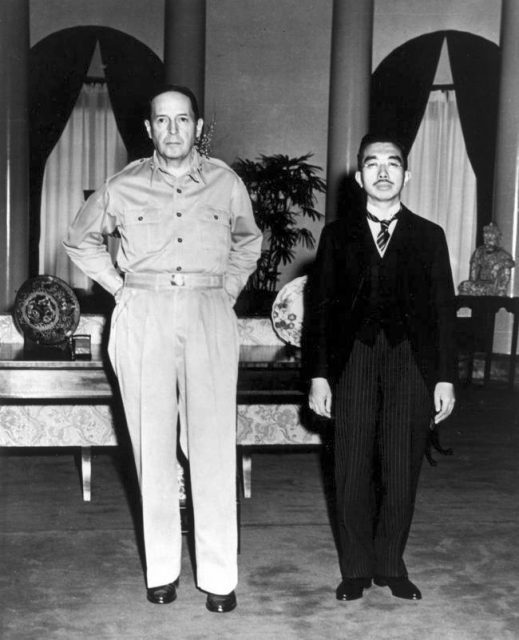 When McArthur met with Hirohito, the people of Japan were electrified by the look of their leader, overshadowed by a much taller American general. The myth of a godlike appearance was undermined, and the photo of them together was instantly banned by the new Japanese Government. Tojo was no longer the prime minister and was replaced by Mamoru Shigemitsu, while prime minister Suzuki by Prince Higashikuni (Hirohito’s uncle). The ceasefire was difficult to maintain and the last fights stopped near the end of August, though Soviets kept pushing in the direction of Hokkaido, resulting in annexation of Kurile Islands (a territory disputed to this day). 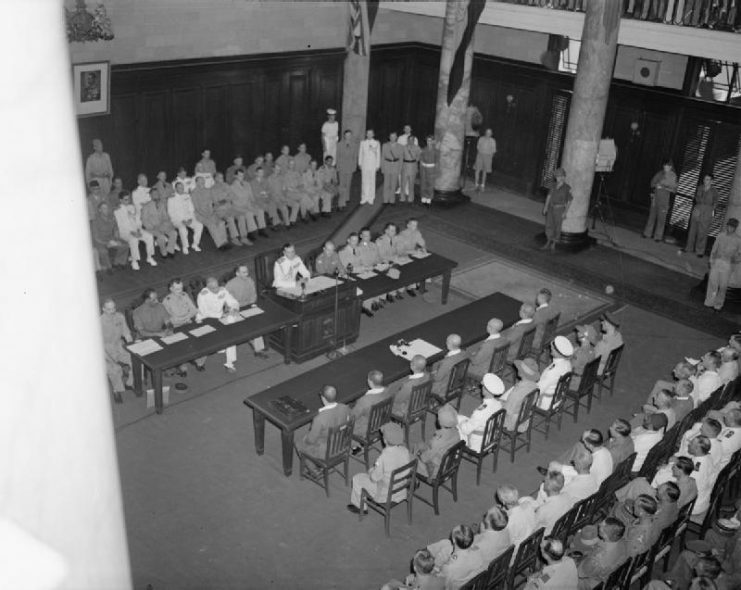 On September 2, 1945, the document of complete surrender was finally on the desk with its two main objectives: to dissolve Japan’s war potential and turning them into a pro-US country with a democratic-style nation. By the end of the year, 350,000 US military personnel were located on the Japanese Islands to enforce the treaty, to protect peace, prevent turmoil and any possible coup d’état’s. It’s worthy to note that the new Japanese constitution included Article 9, called the “Peace Clause”, and this part essentially eliminates the possibility for making war by banning a formidable army. From 1945-52, Japan started a new period in their history. They completed a rebuild from the disaster of the past war, introduced a democratic system, and abandoned the myths of Japanese superiority. The occupation ended in 1952 along with signing of the San Francisco Peace Treaty. From that point onwards, Japan has gone through many major domestic transformations. In 1956, they became a close partner in NATO in 1990. 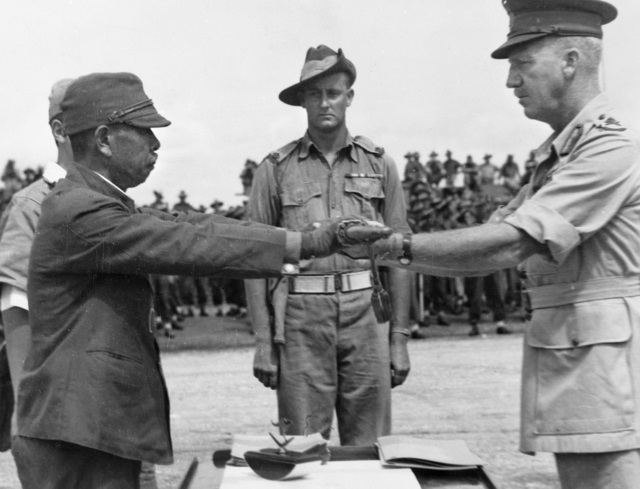 Masatane Kanda signs the instrument of surrender of Japanese forces on Bougainville Island, New Guinea, 8 September 1945. 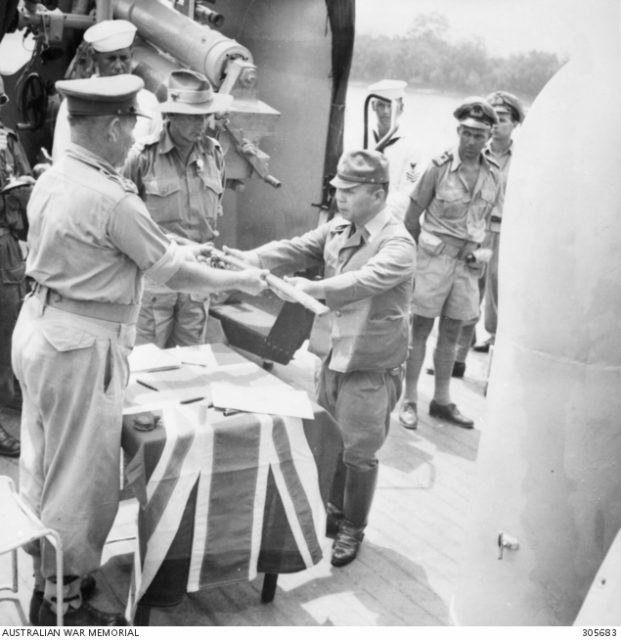 Japanese Navy officer signing the surrender of Penang aboard HMS Nelson on September 2, 1945. 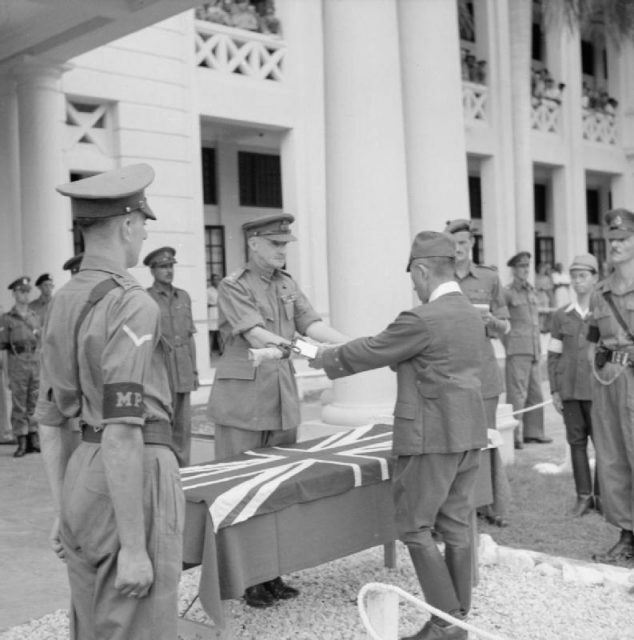 Penang was liberated by the Royal Marines on the following day under Operation Jurist. 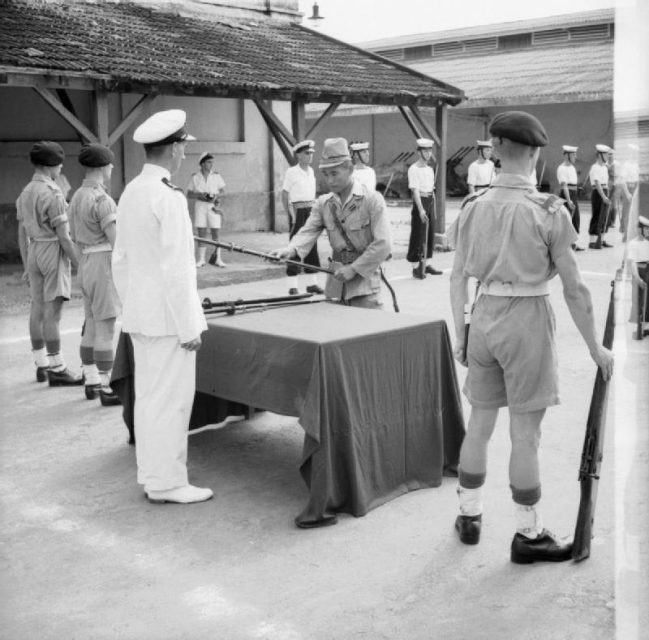 The surrender ceremony of the Japanese to the British forces with General Itagaki surrendering his sword to General Frank Messervy at Kuala Lumpur, British Malaya on February 22, 1946. 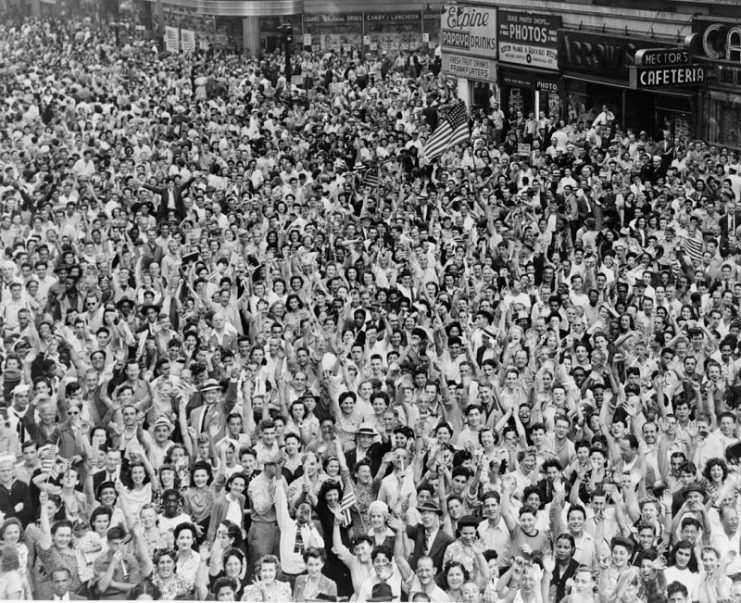 Crowds celebrating V-J Day in Times Square on 14 August 1945. 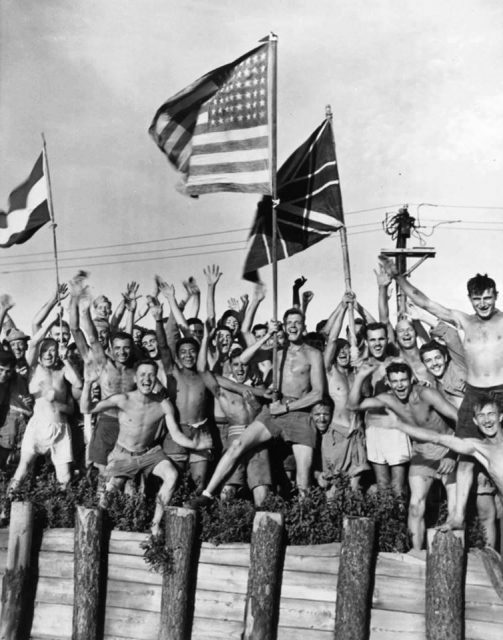 Recently liberated American prisoners of war at Aomori camp near Yokohama, Japan, circa 29 August 1945. 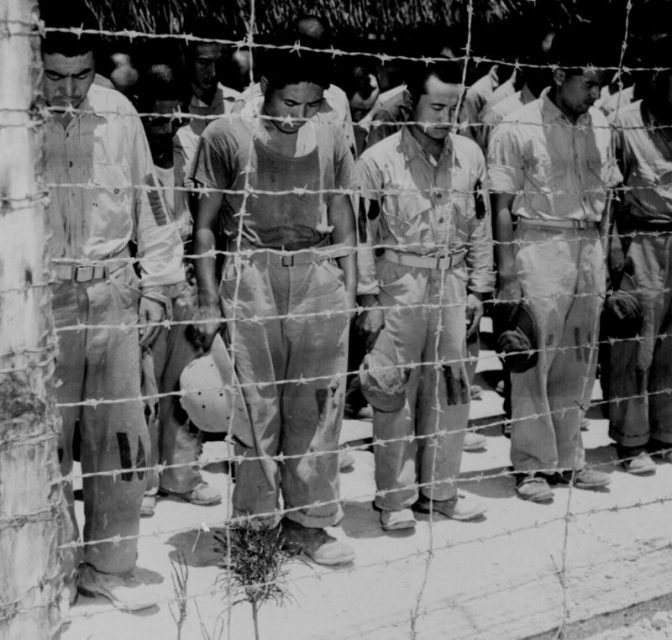 Japanese POW’s at Guam, with bowed heads after hearing Emperor Hirohito make announcement of Japan’s unconditional surrender. 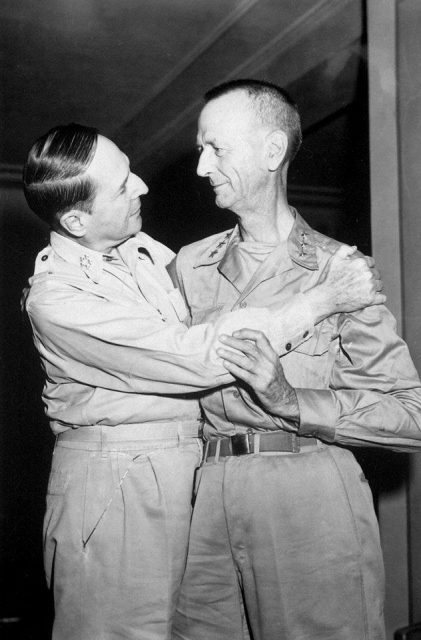 MacArthur embracing Wainwright, the New Grand Hotel, Yokohama, Japan, 31 August 1945. 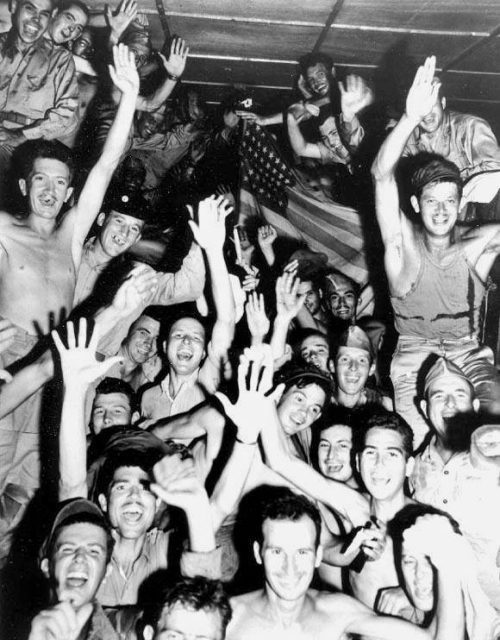 Allied prisoners of war at Aomori camp near Yokohama cheered as US Navy and other Allied personnel arrived to rescue them, 29 August 1945. American aircraft fly over USS Missouri after the surrender. 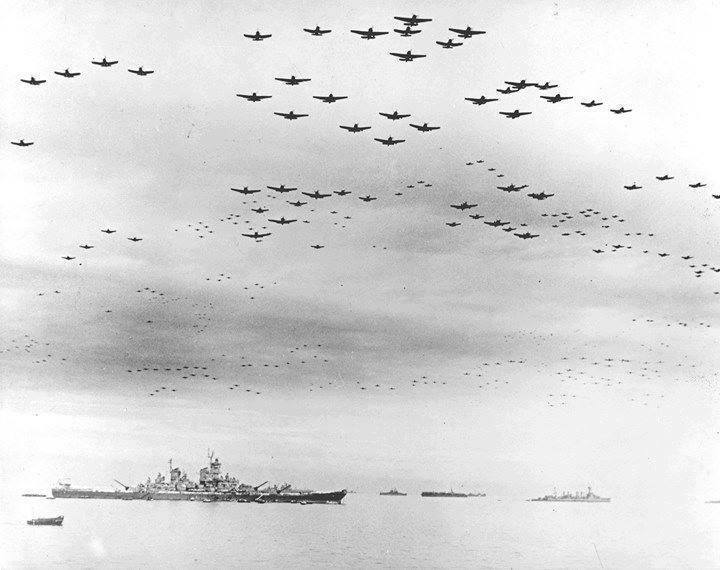 United States Navy Third Fleet outside Tokyo Bay, Japan, August 1945 soon after the Japanese surrender.